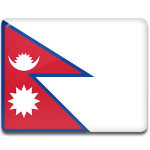 Despite the controversy, the Constitution of Nepal was adopted and came into effect on September 20, 2015. About 90% of the members of the Legislature Parliament of Nepal voted in favor of the new Constitution. The anniversary of the adoption was declared a public holiday named Constitution Day.